The original blue bomber is back for more action-packed adventures in Mega Man Gigamix! In volume 3, the remaining robots of Earth make their last stand against the destructive Stardroids! But an even greater threat looms literally on the horizon... what is the secret of Dark Moon? 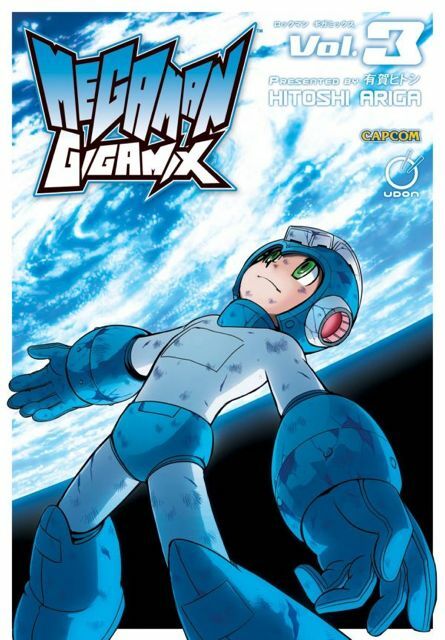 It's the epic conclusion to the greatest Mega Man adventure ever!